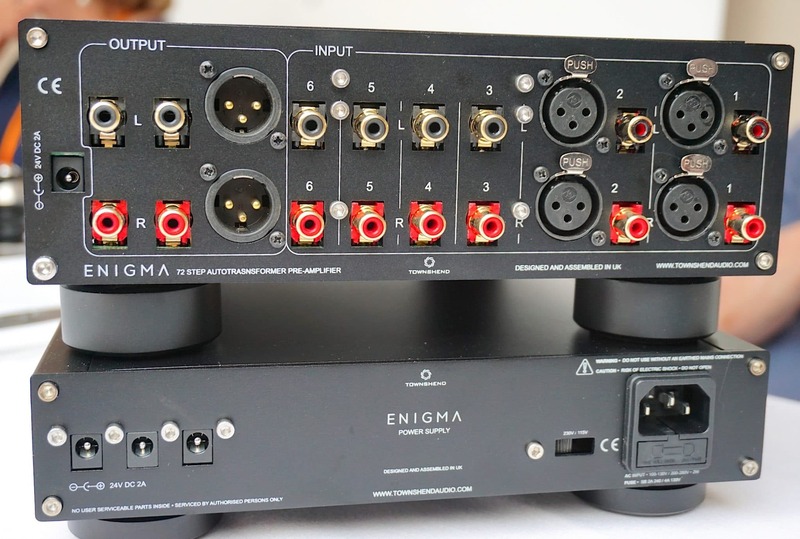 The Enigma Preamplifier is the second in the Townshend Audio range after the now famous Allegri and Allegri+ preamps. Utilising our unique F1 Fractal technology, the Enigma is remote ontrolled, with seventy‐two 0.85dB steps from +3dB to ‐56dB. 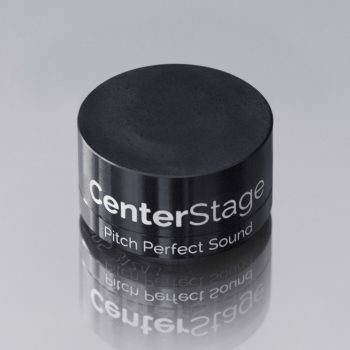 This allows for very precise, seamless gain setting, especially at low levels. This is normally a serious short‐coming with transformer volume controls. 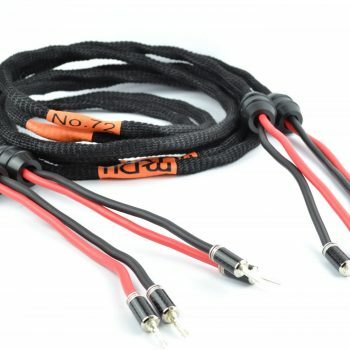 There are six phono inputs plus two XLR inputs with two phono outputs and one XLR output pair. Input number 6 is connected in parallel with the 3.5mm stereo socket on the front panel. There are three gain pushbuttons, high, medium and low and a fourth, mute button. When under remote control, the rotary volume control can do three complete 24 step rotations, resulting in 72 steps. The control may also be operated by hand, again realising 72 steps. There is an extra transformer in each channel to facilitate the medium and low gain feature. All push buttons incorporate an illuminated ring and there is a light above the volume control that flashes to indicate a remote volume change. The intensity of all the LED lighting varies automatically to follow changes in the ambient light so that the indication may be seen in bright sunlight and to be softly lit in dark conditions. 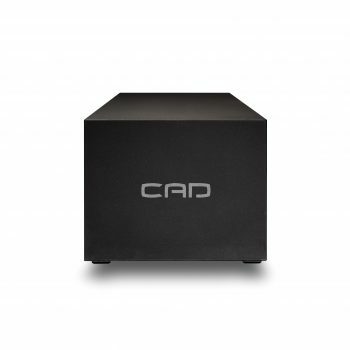 There is a built‐in very high‐quality, powerful, class A solid state headphone amplifier with a 3.5 mm stereo jack output. 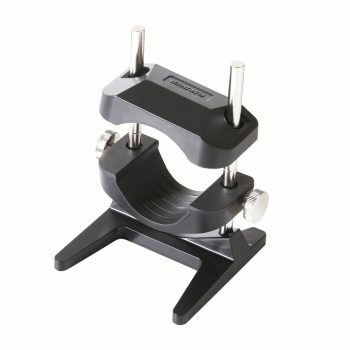 There is a three‐stage gain switch to allow for matching with high, medium and difficult to drive, low sensitivity headphones. The gain is adjusted by a slide switch mounted on the left under‐side. There is a second underside switch to select 0.1, 10 or 30 ohms source impedance. The output of the headphone amplifier may be fed to a power amplifier, thus converting the Enigma from a passive, to an active preamplifier, with up to 15dB of gain. The supply delivers 24V DC, fully regulated to operate the electronics that drive the stepper motor that rotates the volume control and the associated relay and LED requirements as well as the headphone amplifier. The Allegri+ is inevitably a little limited, as it is housed in an extremely compact package which many say is its charm. Comments include “no remote, not enough volume steps, not enough space for large diameter phono connectors, no XLRs and no headphone amplifier”. 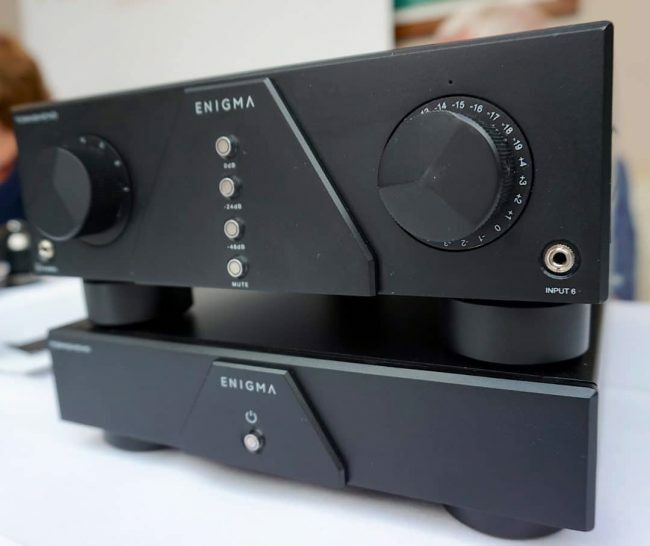 These shortcomings have been addressed with the all‐new Enigma Preamplifier, which has just been enthusiastically received by many discerning audiophiles. Frequency response 8Hz‐80kHz +/‐ 0.1dB. Maximum signal level 4V RMS 8Hz; 10V RMS 20Hz and up. Maximum DC offset 5mV. (For undistorted 8Hz). Distortion Less than 0.01% at 400Hz, 10V (2nd and 3rd harmonic only). Impedance Input impedance is dependent upon the load impedance and gain setting. At 0dB, input impedance is 20kohm. At ‐10dB (normal listening) input impedance is 200kohm. Inputs 6 pairs of RCA phono sockets (gold plated). One 3.5mm stereo jack on front panel, in parallel with input 6. Outputs Two pairs of RCA phono sockets (gold plated). Gain 0dB, 7.5dB and 15dB. Power External DC supply 24V 2A. .